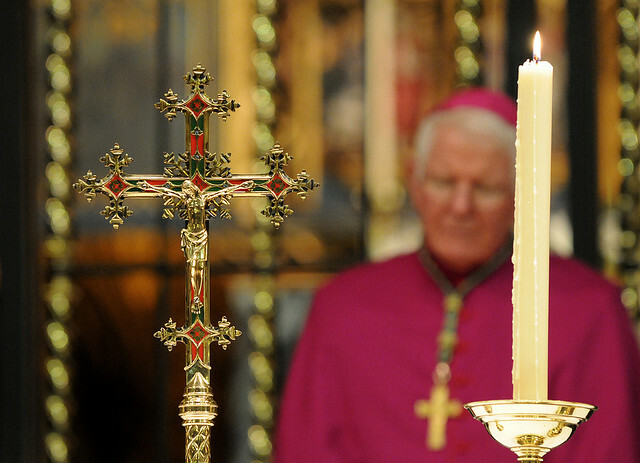 The Church this weekend enters the liturgical (mini) season of Passiontide, leading eventually to the Sacred Triduum of Holy Thursday, Good Friday, and the Easter Vigil of Holy Saturday night, which culminates in the proclamation of the Lord’s resurrection. 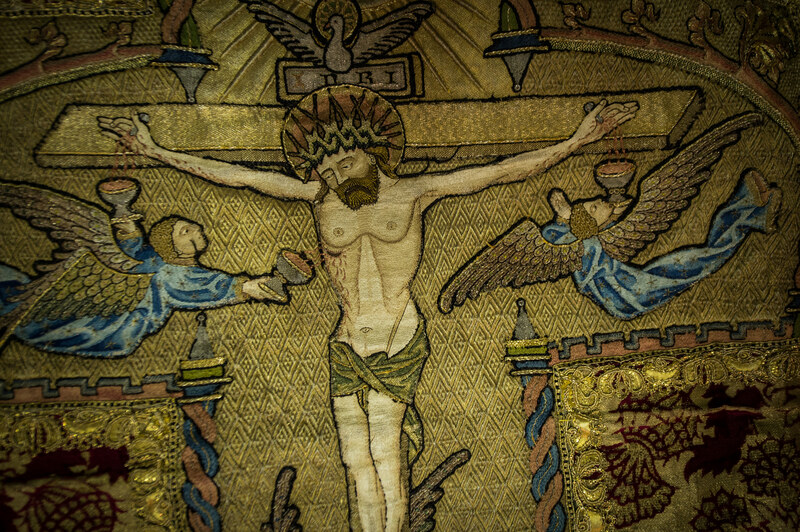 Consequently, the liturgy of the two weeks of Passiontide increasingly focuses our attention on the Lord’s suffering and death on the cross, a death, as we say at Mass he freely accepted. Passiontide is intended to be a solemn time, one of reflection on the person of Jesus Christ, both God and man, and on the wonder of our redemption through his death and resurrection. 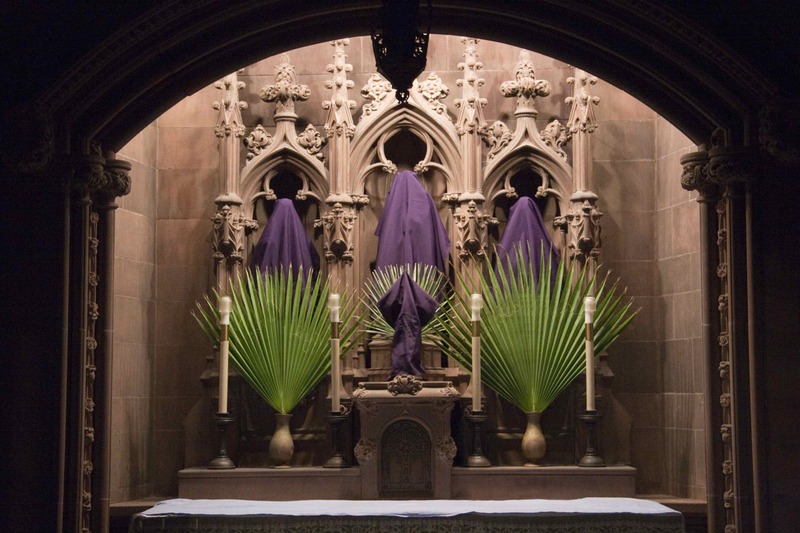 We are treading on mystery here; and the practice of covering the statues and crucifixes in many of our churches lends an atmosphere of awe and reverence to these special and holy days. With the conviction and assurance of faith that the final events of the Lord’s life are deeply significant for all of us, the Church invites her sons and daughters to cultivate a spirit of prayer and recollection and so enter more fully, as the apostle Paul would say, into the mystery of Christ, and to what God has accomplished in him. 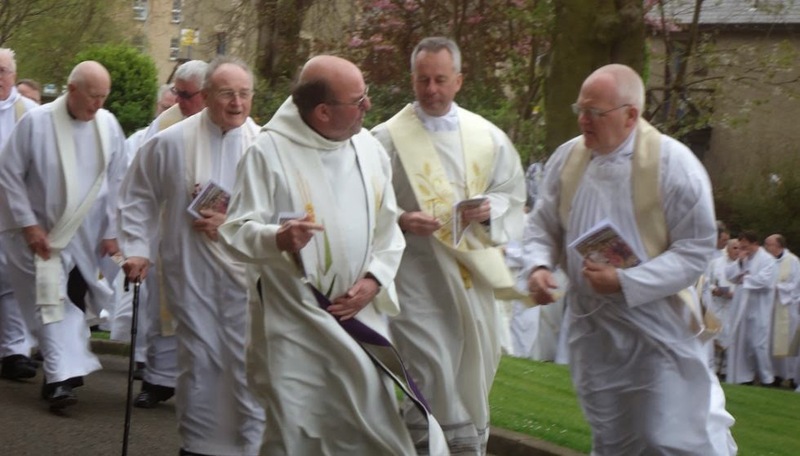 An important and often moving moment in the life of a diocese, especially for its bishop and priests, is the Mass of the Chrism, which takes place in our cathedral in Holy Week, usually on Holy Thursday morning. 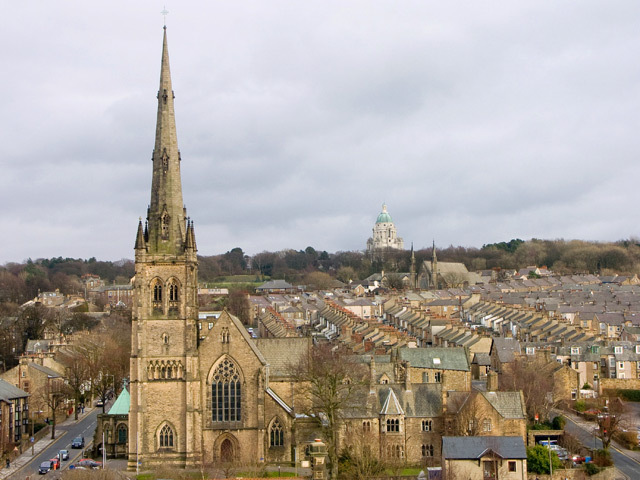 Since this is the only Mass which takes place on that morning it is always well attended and greatly appreciated by lay people from all across the Diocese of Lancaster. 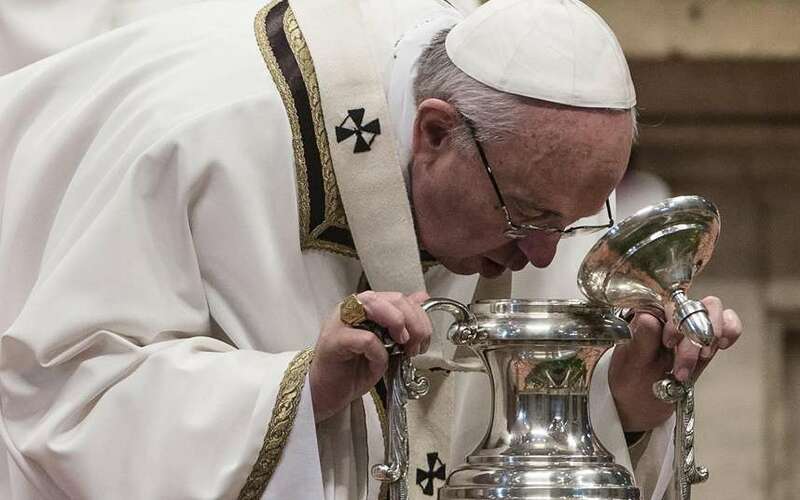 As Bishop, I personally find the Chrism Mass particularly meaningful, and am aware that the oils which are blessed will touch literally and spiritually many of the faithful, young and old, throughout the diocese in the course of the year. I warmly invite those of you from the Diocese of Lancaster who have never attended the Chrism Mass to join us in St. Peter’s Cathedral, Lancaster on Holy Thursday morning. You will be pleasantly surprised at the rich experience! 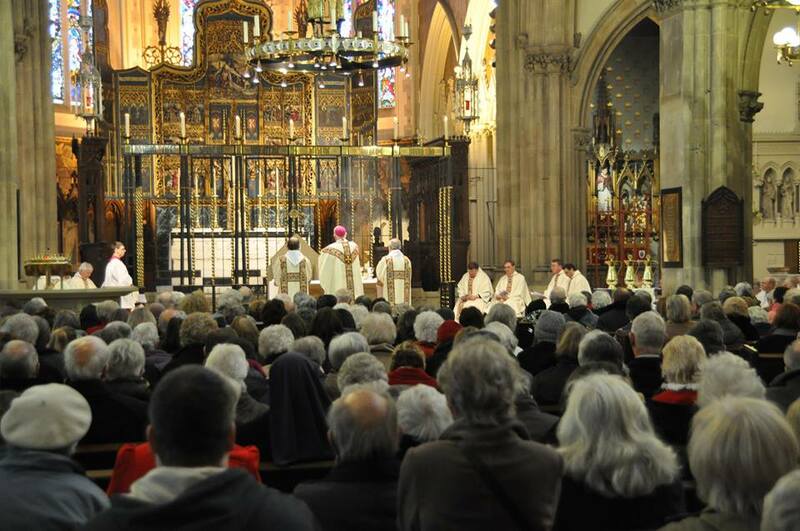 The bishop is acting in a special way in persona Christi when he blesses the oils surrounded by his priests and people. The saving work of Christ is being perpetuated in the local church through the sacred priestly ministry of the bishop and his priests. The first of the three oils to be blessed is the Oil of Catechumens, which is used in the sacrament of baptism on those about to be reborn in Christ. During his own public ministry Christ touched and healed the sick and afflicted who came to him, and that ministry continues in our day when the sick of the diocese are anointed with the Oil of the Sick blessed at this Mass. 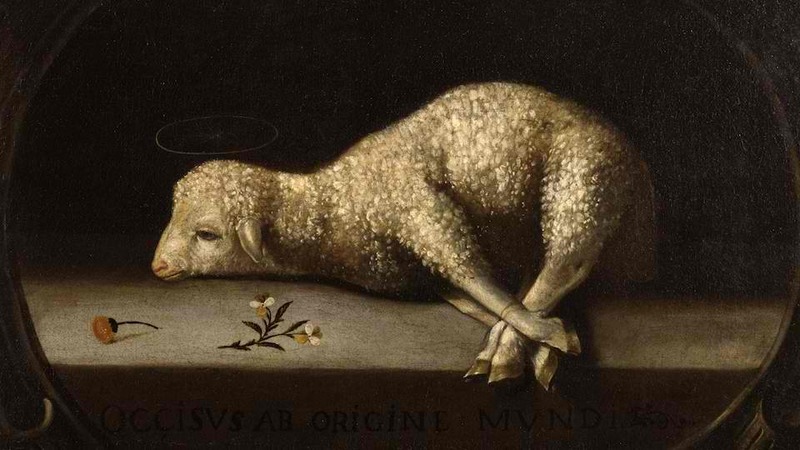 The compassionate and comforting Christ still moves through his suffering people, laying his healing hands upon them through his priestly ministers. 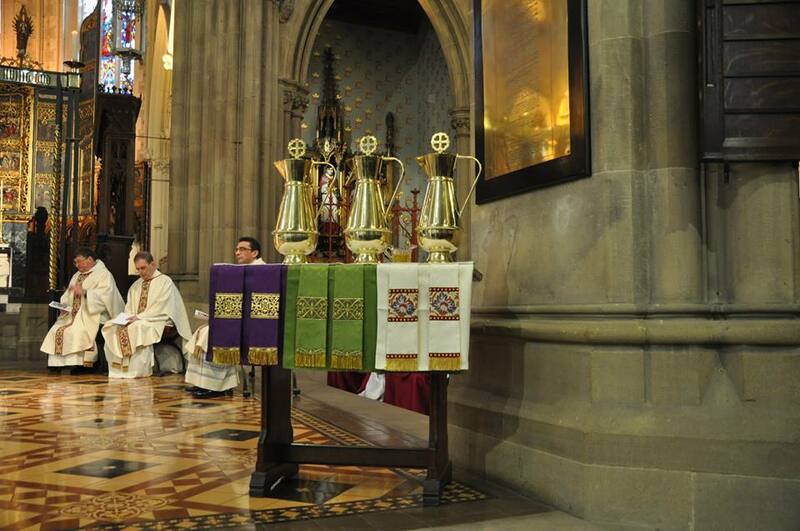 The final blessing, just before this unique Mass concludes, is that of the Oil of Chrism, and its name suggests a very close link with Christ himself – the Anointed One. 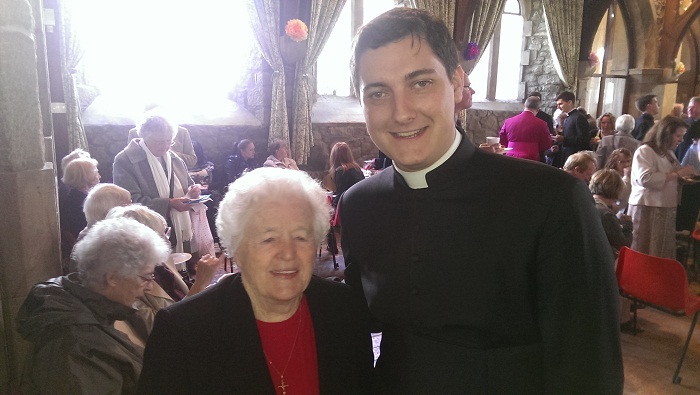 During the course of the year every child or person to be baptised will be anointed with Chrism. Those who receive the sacrament of Confirmation will be anointed on the forehead with Chrism, and finally the hands of the young man I hope to ordain on 1 July (again, in the Cathedral) will be consecrated and anointed with Chrism for sacred priestly service among the people of Christ. 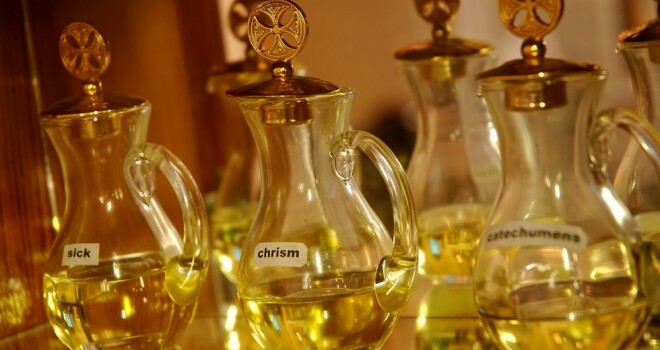 The power of the Holy Spirit charges these different oils with the presence of the risen Christ, hence the importance and significance of the Mass of Chrism for the unity of the local diocesan Church. Earlier in the Mass, after the homily, I will invite my brother priests to renew their priestly promises in the presence of their people, while in turn I will invite the congregation to pray for their priests and bishop. 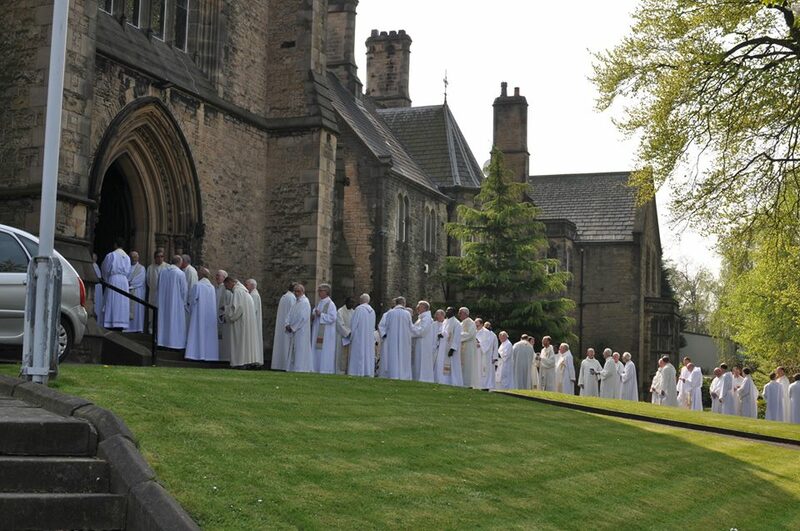 The Mass of the Chrism may be seen as the start of a particularly holy time for the diocesan Church. The oils have been blessed and consecrated, as priests we have reaffirmed our commitment to Christ, and now we move forward into the Sacred Triduum to celebrate the paschal mystery of the One who is at the heart of it all, Jesus Christ, God made man.